Are you looking forward to offer discounts at a range of attractions to your customers as a way to attract their attention? 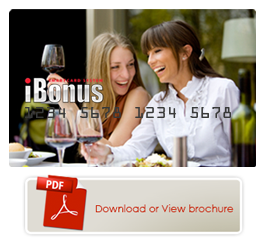 If you answer is affirmative then iBonus Leisure cards offered by our company would be the right choice indeed for you. It will help you to offer a wide variety of prepaid/loyalty schemes to your customers through which they can enjoy lucrative offers and remain loyal and connected to your night club always. ⇒ It increases the sales of your business by enhancing the inflow of customers and also by enhancing the impulse repeat purchase by loyal customer base through offering them some lucrative and prominent deals and offers. ⇒ It also enables you to develop Referral Marketing and Network Marketing campaign instantly so as to get more number of members for your nightclubs and outlets. To attract more customers towards the Network Marketing and Referral Marketing campaigns you may offer the referee loyal customers additional loyalty points or prepaid amount as per the customer referral scheme.